Hope, yes we are able to have hope, because God's love, mercy and faithfulness never end! Take time today to notice how God shows these three things to you and tell your grandchildren all about it! Help them learn to watch for how God shows His love, mercy and faithfulness to them as well - so they are able to live with hope. 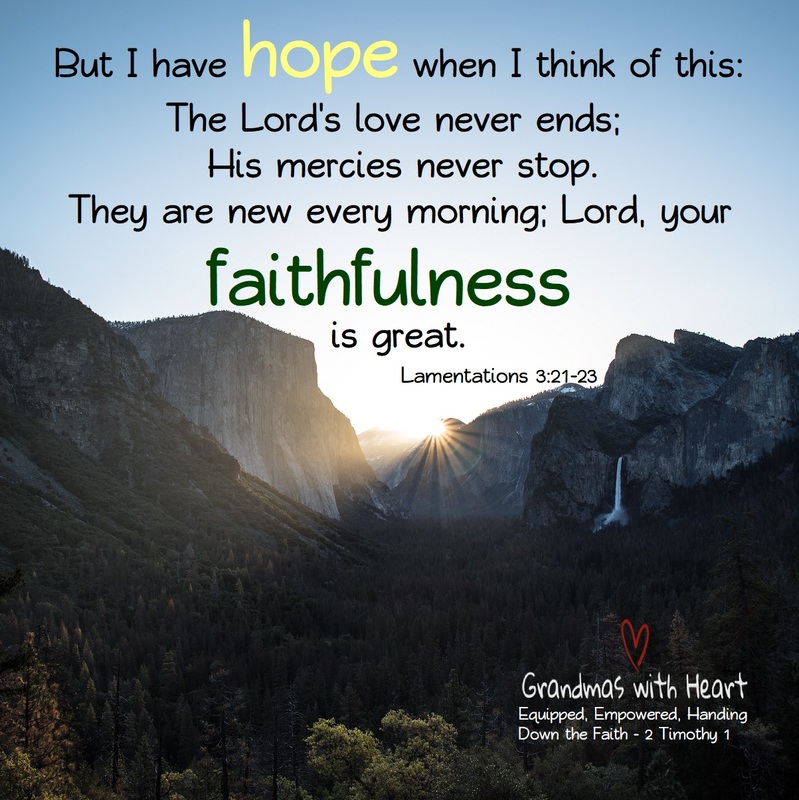 Consider posting this verse in your home and make it a blessing you are able to pray for your children and grandchildren - "Dear Lord, please help my children/grandchildren experience hope when they see today how Your love and mercy never end. Thank You for Your great faithfulness - Amen!"